West Shore RCMP are investigating a bizarre chain of events involving a man who allegedly fled a highway crash, stole a canoe and launched himself into Portage Inlet. It started just after 9 a.m. Thursday when police received a report of a man walking on a concrete barrier along the Island Highway and Trans-Canada Highway overpass in View Royal. Police heard from two people who said they had talked the man off the railing, but then he stole one of their trucks, a grey Ford F150. 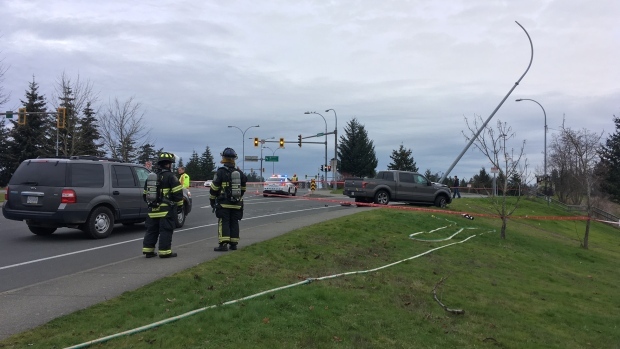 The man then reportedly crashed the truck into a telephone pole near the Helmcken overpass on the Trans-Canada Highway. "Subsequently that same man, after crashing the vehicle, had taken a canoe from a residence on Chancellor Avenue in View Royal where he made his way to Portage Inlet," said Const. Alex Berube. A heavy police presence descended on the inlet to try to apprehend the man and ensure his safety, as he was drifting in the canoe and had no paddles. 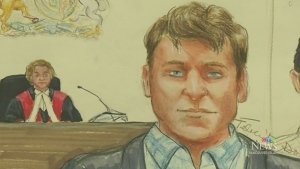 "He was seen stranded in the middle of Portage Inlet inside the canoe only wearing a T-shirt and shorts," said Berube. Officers negotiated with the man and he swam to shore, where he was taken to hospital by paramedics. Berube said the man's mental health was assessed and will be taken into consideration. The highway crash shut down the Helmcken overpass off-ramp temporarily as crews assessed the scene. It's unclear if anyone else was injured in the crash. 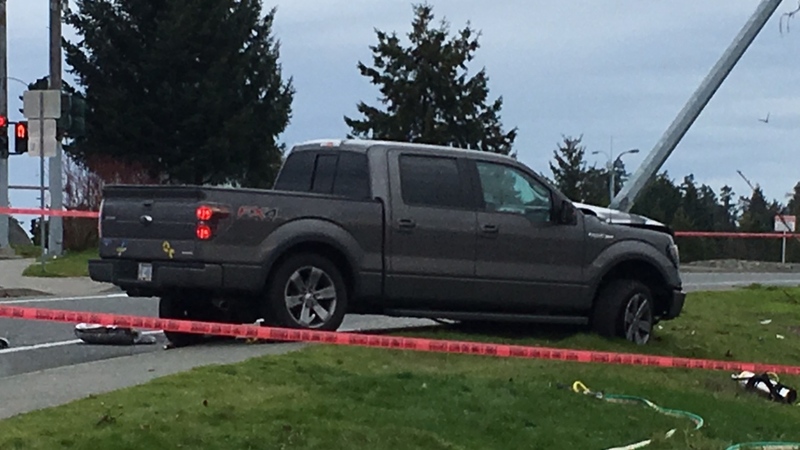 Police are also trying to determine whether the truck involved in the crash was stolen and are asking any witnesses to call West Shore RCMP.